Are you ready for Halloween? 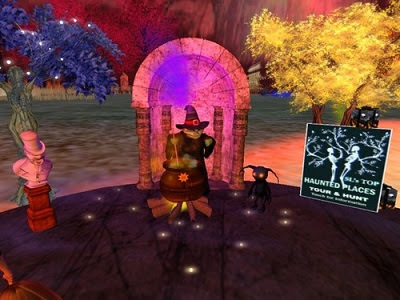 Get into the spooky spirit, have fun and get good scares by touring Haunted Houses & Halloween hunts in second life. In October, many creators and residents come together to decorate and create Halloween adventures across the grid. Beware, Ghosts,witches zombies await you! SL's Top Haunted Places Tour & Hunt! 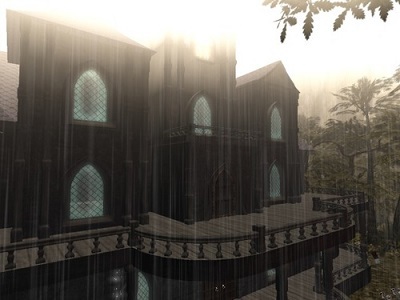 If you want to find haunted places to explore, the first stop is "SL's Top Haunted Places Tour & Hunt!”. At this location, you can get a permanently updated list of events. New hauntings will be added throughout the month. At Etchaflesh Clothing & Corsetry, the hunt has begun! Look for 12 tombstones hidden in the store to fill your card validation (HUD). Once your HUD is full, you can take it to the prize Kiosk where you can choose between 12 rewards. Complete instructions are provided with the HUD. 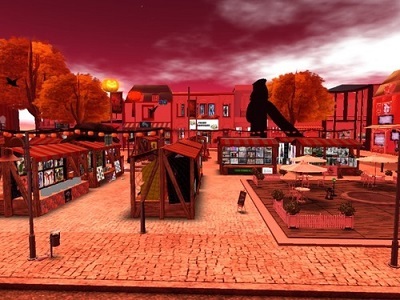 Find many unique gifts made especially for this hunt in two dark squares located at an old European city where you will find a haunted Halloween market. All I can say is there are 50 hidden skulls. Enjoy the chilling landscape of the cemetery and beware of bats flying over your head. Take a ride in horse carriage around the squares which is a good way to detect skulls and find the prizes. When the clock strikes midnight, run! Who doesn't like the villains of horror movies? They are waiting for you at Camp Mineral Pond. Feel your heart leap as you crefully search your surroundings not knowing what lurks behind the corner and find 36 carts full of scary goods, including a creepy theme and L $10 item on every cart. Search for hidden objects of terror that contain L $ 2 hunt gifts. If you don´t have Lindens to spare, don´t worry, the ghastly menagerie has something for you. Corpsewood is a SIM full of things to explore. This place is scary and full of ghostly surprises. Take a Tour of the Haunted Mansion and go on the hunt for great prizes. Many hair-raising surprises await you in the house of Dr. Victor Frankenstein. Beware of the ghosts that haunt the surrounding area. Take a boat ride or visit the lighthouse. Many mysteries await you at the orphanage and asylum, if you are brave enough to go there! Happy Halloween everyone! Be safe, have fun!